The public relations professionals in the Ocala/Marion County area were proven to be among the leaders in the state, and received recognition at the Florida Public Relations Association Annual Conference Aug. 6-9, 2017 at The Ritz-Carlton Orlando Grande Lakes. 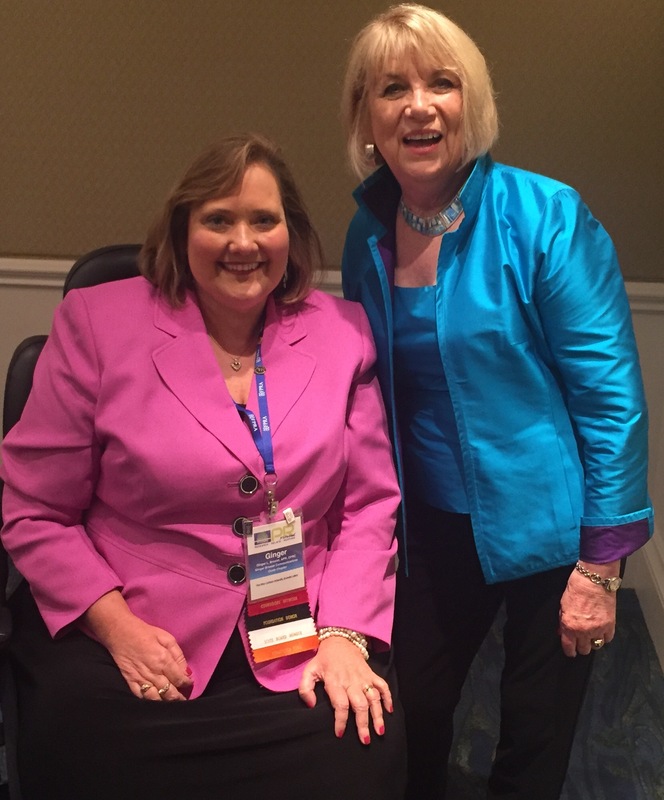 Ginger Broslat, APR, CPRC of Ginger Broslat Communications and the Heart of Florida Health Center’s Measure Up Marion Program, served as the VP of the Association’s 79th Annual Conference. Broslat worked with FPRA Executive Director Cheray Keyes-Shima, APR, CPRC and her team at Sarasota’s KSC Public Relations and Advertising to coordinate the venue, recruit speakers and sponsors and generate excitement for attendee registrations. The theme graphics, PR: It’s Personal: Research Relate Respond, were created by Ocala’s John Tripodi of Neptune Advertising. Marc Rice, owner of Digital Fury Productions served as a Diamond Level sponsor and produced the promotional video, credited in part to the record-breaking attendance numbers. Broslat and Keyes-Shima recruited keynote speakers including Ann Rhoades, architect of the corporate culture of Southwest Airlines and Co-Founder of JetBlue Airways, Mary Lunghi Director of Business Analytics and Market Insight at IKEA US, Scott Stanzel, Director of Corporate Communications at Amazon. Cox Communication Director of Community Outreach Devon Chestnut, APR, CPRC conducted a breakout session on internal communications. Carole Savage, APR, CPRC, the first director of Leadership Ocala/Marion, served as the VP of Leadership FPRA in its inaugural year. Savage and Broslat, along with United Way of Marion County Executive VP of Resource Development Tina Banner, APR, CPRC, Career Source Citrus Levy Marion Communication Manager Laura Byrnes, APR, CPRC, and Heirs Baxley Funeral Services Community Outreach Manager Barbara Carbaugh comprised five of the 17 members graduating as part of Class Pynn. The first class has been named to honor Roger Pynn, APR, CPRC, who envisioned the program during his year as Association president in 2015-16. Laura Byrnes, APR, CPRC, Communication Manager of CareerSource Citrus, Levy, Marion, served as the Association’s VP of Accreditation/Certification. Her efforts to encourage and support chapter leaders across the state assisting members with study sessions, resulted in 13 members receiving the APR credential, a mark of distinction for professionals who demonstrate their commitment to the profession and to its ethical practice. Candidates earn accreditation by passing oral and computer-based exams that test their broad knowledge, strategic perspective and sound professional judgment. Byrnes recognized six members obtaining the CPRC credential, an extensive process, which requires candidates to pass written and oral exams that test their ability to present strategic solutions for accomplishing public relations goals, implementing crisis communication plans and solving public relations issues. Candidates must have their APR, which demonstrates a high level of competence and dedication to the field, and at least 10 years of industry experience. These newly credentials members now join fewer than 150 certified members across the state. The Ocala Chapter Board appointed Ocala Health Marketing Communications Manager Lauren Debick as its nominee for the Joe Curley Rising Leader Class of 2017. The Rising Leader Class recognizes the future leadership stream for chapters across the state. 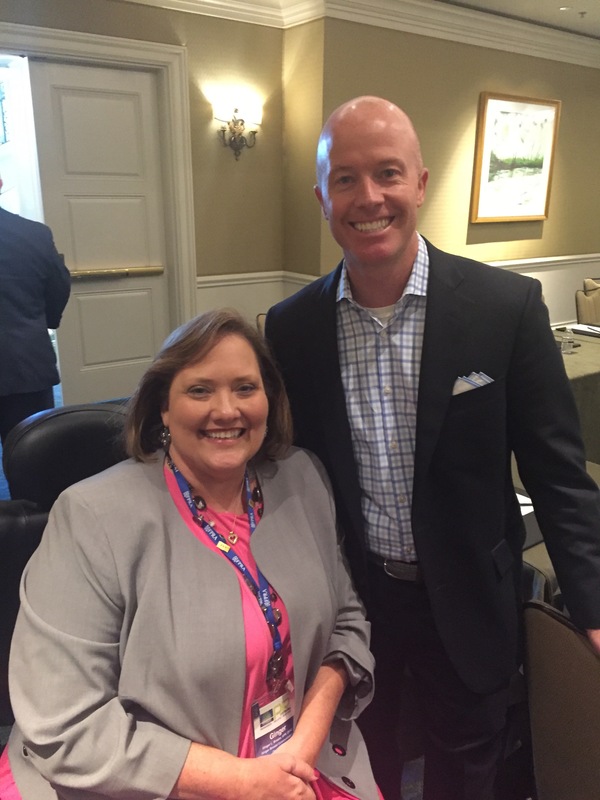 Debick was honored to receive the first-ever Joe Curley Leadership FPRA Scholarship to be a part of Leadership FPRA Class II. Debick is also a member of this year’s Leadership Ocala/Marion Class XXXI. FPRA President Terri Behling, APR, CPRC presented FPRA Ocala Chapter President Lauren DeIorio and Treasurer Allison Campbell, APR, CPRC with the President’s Award for Chapter Financial Management. Golden Image – Heather James, Ginger Broslat, APR, CPRC and Andy Stracuzzi of Zed+Zed+Eye for Heart of Florida Health Center brochure in Division B, Printed Tools of Public Relations. Award of Distinction – Maclyn Walker, MSW, Ginger Broslat, APR, CPRC, Marc Rice of Digital Fury and Jacob Fields of JJ Fields Design for the Heart of Florida’s Measure Up Marion program in Division A Public Relations Programs. Award of Distinction – Heather Danenhower, APR, CPRC and Marc Rice of Digital Fury for online engagement in Division C Digital Tools of Public Relations for a video produced for Duke Energy.